1. WHAT IS THE MESSAGE OF FATIMA? 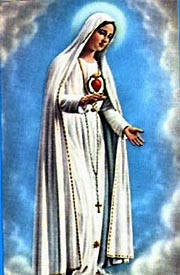 The Message of Fatima consists of a number of precise predictions, requests, warnings and promises concerning the Faith and the world which were conveyed by the Blessed Virgin Mary to three shepherd children--Lucia, Jacinta and Francisco--in a series of apparitions at Fatima, Portugal from May to October 1917. 2. WHY SHOULD I BELIEVE THE MESSAGE OF FATIMA? (1) It was confirmed by an unprecedented public miracle, the Miracle of the Sun, which occurred at precisely the moment Lucia said it would. More than 70,000 people, including Masons, communists and atheists, saw the sun, contrary to all cosmic laws, twirl in the sky, throw off colors and descend to earth. The event was reported in newspapers around the world, including the New York Times. (2) All of the Popes since the Fatima Miracle have recognized that the Message is authentic. Several Popes have gone to Fatima in person, including Paul VI, John Paul I and John Paul II. John Paul II said at Fatima in 1982 that "the Message of Fatima imposes an obligation on the Church." (3) Many other miracles have been performed by God authenticating the Fatima Message as coming from Him, not only at the time of the Miracle of the Sun, October 13, 1917, but down the years to the present day, miracles of conversions and cures which science cannot explain by natural means. (4) The Message of Fatima accurately predicted world events, which proves that it is a true prophecy. The Message of Fatima also predicted that if the requests of the Virgin Mary at Fatima are not honored, many souls will be lost, "the Holy Father will have much to suffer", there will be further wars and persecutions of the Church and "various nations will be annihilated." The annihilation of nations predicted at Fatima has not yet occurred, but many fear that it will soon happen, given the growing immorality and corruption of the world. 4. WHAT DOES THE MESSAGE OF FATIMA REQUEST? 5. HAVE THESE REQUESTS OF OUR LADY OF FATIMA BEEN HONORED? No, not entirely. A number of the Faithful practice the "First Saturday" devotion, but Russia has yet to be consecrated to the Immaculate Heart of Mary in a solemn public ceremony conducted by the Pope together with the world's Catholic bishops. In 1982 the last surviving Fatima seer, Lucia, who is now a cloistered nun living in Coimbra, Portugal, was asked if an attempted consecration by Pope John Paul II had sufficed. She replied that it did not suffice, because Russia was not mentioned and the world's bishops had not participated. Another attempted consecration in 1984 likewise did not mention Russia or involve the participation of many of the world's bishops, and Sister Lucia stated immediately afterwards that this consecration, too, had failed to meet Our Lady's requirements. 6. WHAT DOES THE MESSAGE OF FATIMA WARN? 7. WHAT DOES THE MESSAGE OF FATIMA PROMISE? 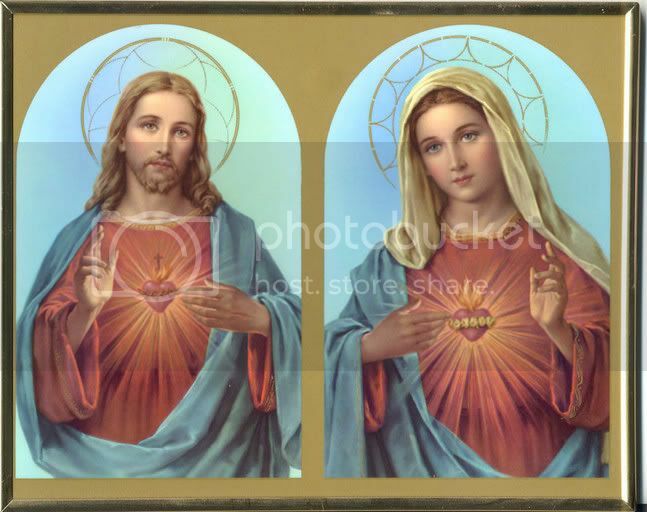 The Message of Fatima promises that if the requests of Our Lady of Fatima are carried out "My Immaculate Heart will triumph. The Holy Father will Consecrate Russia to Me, which will be converted, and a period of peace will be granted to mankind." 8. ISN'T IT TRUE THAT THE CONSECRATION OF RUSSIA WAS DONE IN 1984 AND THAT THE "FALL OF COMMUNISM" PROVES THAT THE CONSECRATION WAS EFFECTIVE AND THAT RUSSIA IS NOW CONVERTING? (1) On March 25, 1984, after the consecration of the world, Pope John Paul II said twice that Our Lady of Fatima's request for the consecration of Russia was not done. (2) Soon after the attempted Consecration of 1984, which did not mention Russia or involve the participation of the world's bishops, Sister Lucia stated it was insufficient because it did not meet the requirements specified to her by Our Lady. (3) Since 1984 the moral and spiritual state of the world has obviously grown far worse: In the past 14 years there have been 600 million abortions, and wars have broken out all over the world. Mercy-killing and homosexual acts have been "legalized". In Russia itself a new law has just been passed which discriminates against the Catholic Church and in favor of Islam, Buddhism, Judaism and the Orthodox churches which forcibly occupied Catholic parishes under the Communists. Thus it is clear Russia is not converted to the Catholic Faith as Our Lady of Fatima promised would happen if Her request was done. (4) There have been very few conversions to Catholicism in Russia over the past fourteen years. In all of Russia today there are only 300,000 Catholics--much less than one percent of the Russian population. By comparison, after Our Lady appeared at Guadalupe, Mexico in the 16th Century, more than 7 million Mexicans converted from paganism to the Catholic Faith within nine years and Mexico became a Catholic country. 9. WHY IS THE MESSAGE OF FATIMA IMPORTANT TO ME AND MY FAMILY? The Message of Fatima is important to you and your family because it involves the salvation of souls, peace in the world and, if the requests of Our Lady of Fatima are not carried out, the consequences are the annihilation of nations and the enslavement of all mankind under militant atheists of Russia. 10. BUT ISN'T THE MESSAGE OF FATIMA JUST A PRIVATE REVELATION WHICH NO CATHOLIC HAS TO BELIEVE?